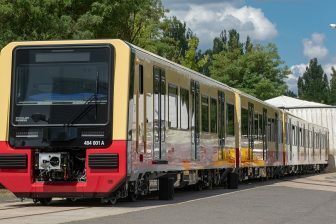 German rolling stock manufacturer Siemens Mobility has presented its first completed Mireo train that will run on the railways of Rhine Valley. 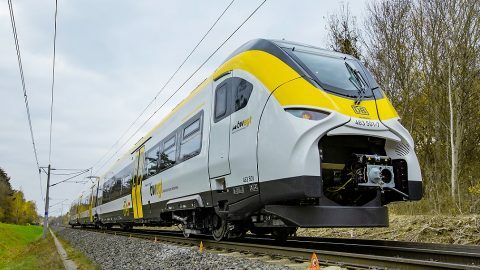 Next year, the three-car electric trainset will be tested by the company’s Test and Validation Center in Wegberg-Wildenrath. The Mireo train will start regularly service in June 2020. 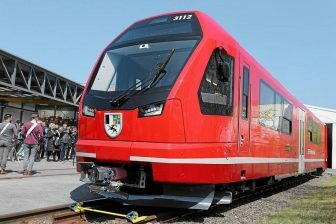 The brand new train will run under the DB Regio flag, a regional business unit of Deutsche Bahn. The unit will serve several routes from Freiburg to Offenburg, Endingen, Breisach, Neuenburg and Basel, Switzerland. The trainset is painted in white, yellow and black colours that are typical to Baden-Württemberg state. 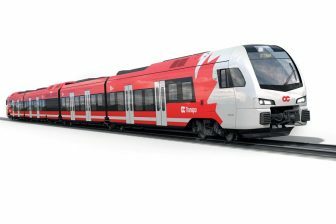 “I am delighted that the innovative and energy-efficient Mireo train concept will be introduced in Baden-Württemberg for the first time in June 2020. This will bring a major improvement in comfort for passengers travelling on the regional Offenburg-Basel route and at the same time be a clear gain for the environment”, former German transportation minister and current member of the state parliament Winfried Hermann said. Siemens Mobility is regarding the Mireo train as a successor of its Desiro family being developed since 1999. The newly developed train platform will be up to 25-30 per cent more energy efficient. DB Regio became the first customer of the brand new sets in February 2017, ordering 24 three-car units for the Rhine Valley lines. “Today we are presenting the first Mireo for the Rhine Valley rail network, right on schedule. This delivery speed is made possible due to the intelligent modular system and standard components we use for the train. This new design offers operators profitability over the train’s entire lifecycle”, CEO of Siemens Mobility Sabrina Soussan said. The three-car Mireo trains have a seating capacity of 220 seats and can reach a maximum speed of 160 kilometres per hour. The units are equipped with a passenger information system, onboard Internet access and security surveillance. The trains are also suitable for disabled people and bicyclists. There are multi-purpose areas with ample space for up to 27 bicycles. The Mireo set was designed as an environmentally friendly unit. 95 per cent of the materials can be recycled.